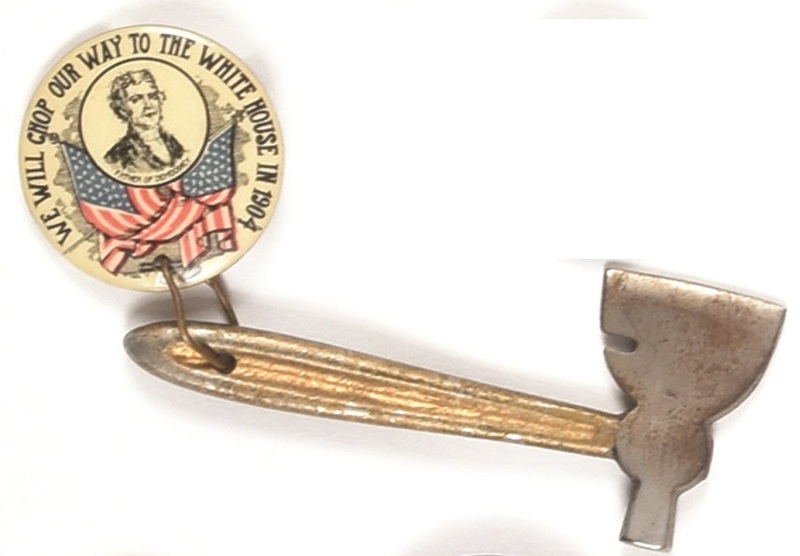 This pin from the Democratic National Convention in 1904 comes with its very own ax so you can help the Democrats chop their way to the White House. It even pictures Thomas Jefferson, the “father of Democracy,” which is appropriate since the 1904 Louisiana Purchase Exposition was held in St. Louis, site of the Democratic convention. This rare 1 1/4 inch celluloid has a small crack at bottom by the hole that holds the ax and a convention back paper.